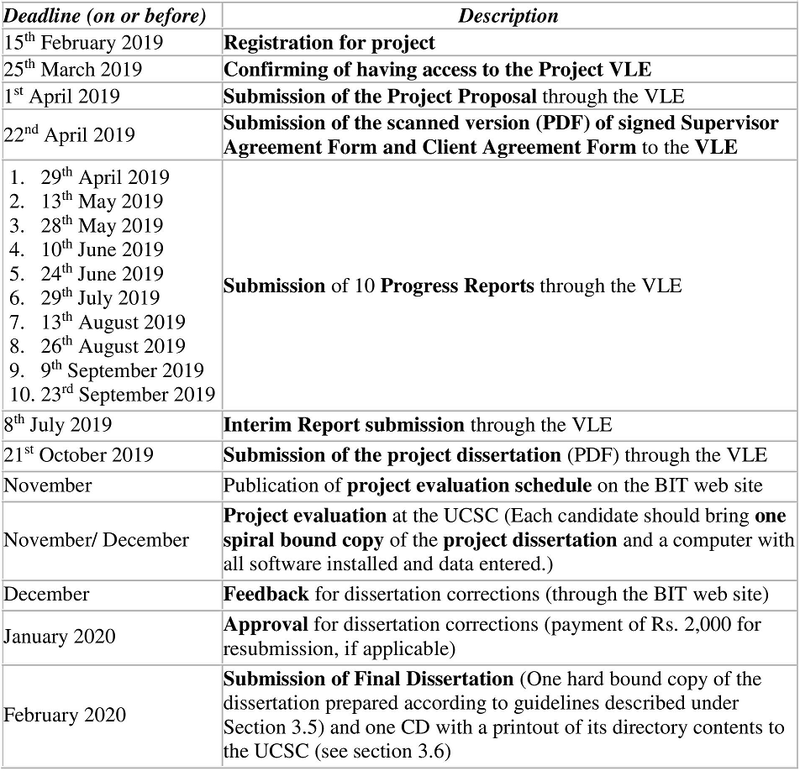 This project schedule is given in Table 4.1 of the Project Guidelines. Refer the VLE for details and forms. All submissions have to upload to VLE on or before the specified deadlines. No postal or e-mail submissions will be entertained. Late submissions will not be accepted. Any changes to this schedule will be notified in the BIT VLE.